Tony Wilson is the author of much-loved picture books including Grannysaurus Rex, Harry Highpants, The Princess and the Packet of Frozen Peas, Emo the Emu and The Cow Tripped Over the Moon, which won the Honour Award for the CBCA Book of the Year in the Younger Readers category in 2016. 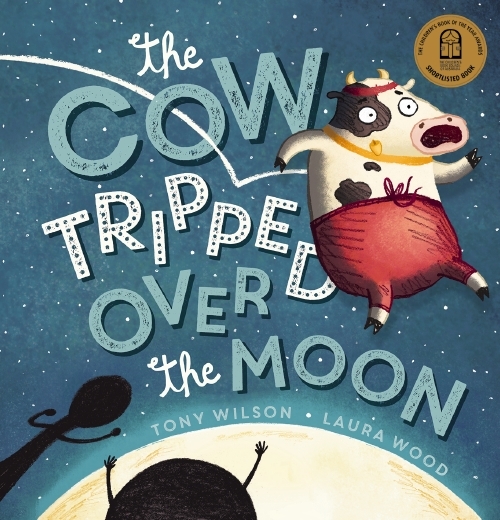 Tony was selected as the National Simultaneous Storytime title for 2017 with The Cow Tripped Over the Moon, (illustrated by Laura Wood).The Cow Tripped Over the Moon is a story of triumph and perseverance, and offers a rhyming commentary on the Cow's previous seven attempts on the moon. Tony has written some kids TV, namely a couple of episodes of the Cartoon Network show 'Exchange Student Zero' (Bogan Productions), voiced by Rove McManus. He also penned two novels for adults (Players and Making News), numerous articles for magazines such as The Monthly and Good Weekend and newspapers pieces. His sports memoir, Australia United, is an absolute favourite amongst Socceroos fans. His own sports career included a year on Hawthorn's senior list. Unfortunately, he never played a senior AFL game. His television appearances include 'Race Around the World', 'The Einsten Factor' and 'Santo Sam and Ed's Cup Fever'. He's an ex-Triple R Breakfaster, and a regular on ABC Local Radio and Radio National.